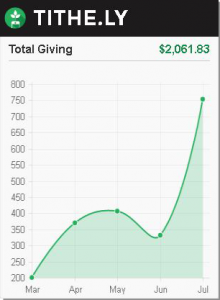 Online Giving on the Rise! Tech Savvy givers in our church are tithing more frequently using the convenient “Give” buttons which you can see on every page of this website. They are also using the Tithe.ly app on their smart phones, which is available in the Google Play store and Apple App Store. This Sunday, Wilmington First United Methodist is holding a special Charge Conference after Pastor Nelson Castorillo’s message. Joining us to worship will be Reverend Ted Hampton from Bellflower United Methodist Church. Please plan to attend and participate in the discussion as we chart a clear path and mission for our church. Anyone has the chance to change for the better if they are in Christ. The question is are you in or out? Insiders get the correct information and get all the benefits. Outsiders are in the dark. To be in Christ means you are a new creation and your old life is gone.